ne of the best things about wrapping presents is making the bow. It’s the finishing touch. Unless…you’re not very adept at it or worse yet, you simply don’t know how. 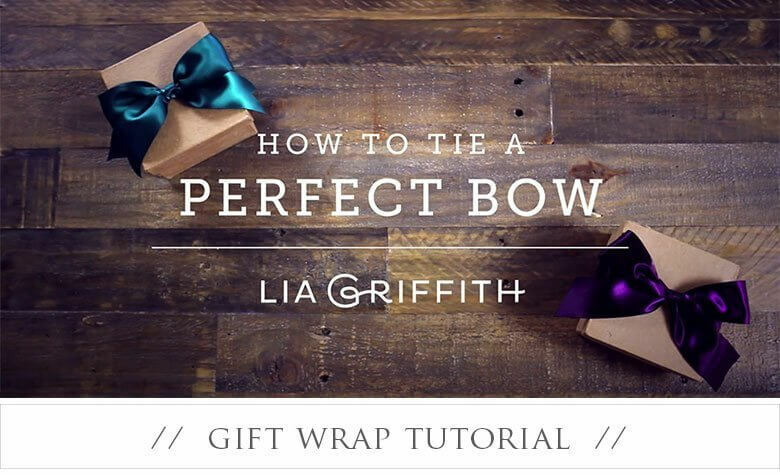 Fellow gift wrapping enthusiast and handcrafting lifestyle expert, Lisa Griffith has created a tutorial on making the perfect now that is visually pleasing and easy to learn. This tutorial is one of the best not only because it’s simple but it also includes video tutorial! After all, just being able to watch someone share their craft can make the overall learning experience effortless.